Tonight’s meal was so simple that it allowed me to swim most of the afternoon. 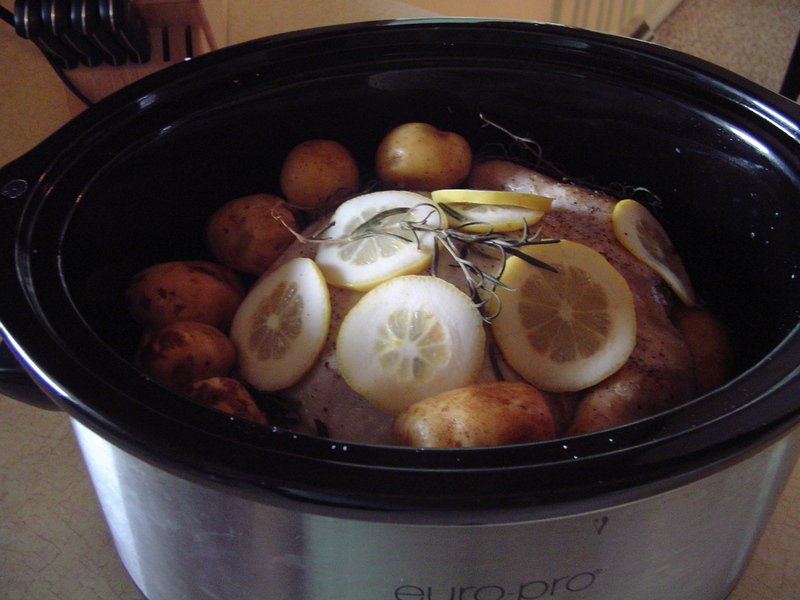 I love using the crockpot in the summer. That is a whole chicken covered with one sliced lemon, a lot of fresh rosemary sprigs, garlic, a little chicken broth & S& P. I put the potatoes we got today from Birdsong Farm around the chicken. They were so tender. 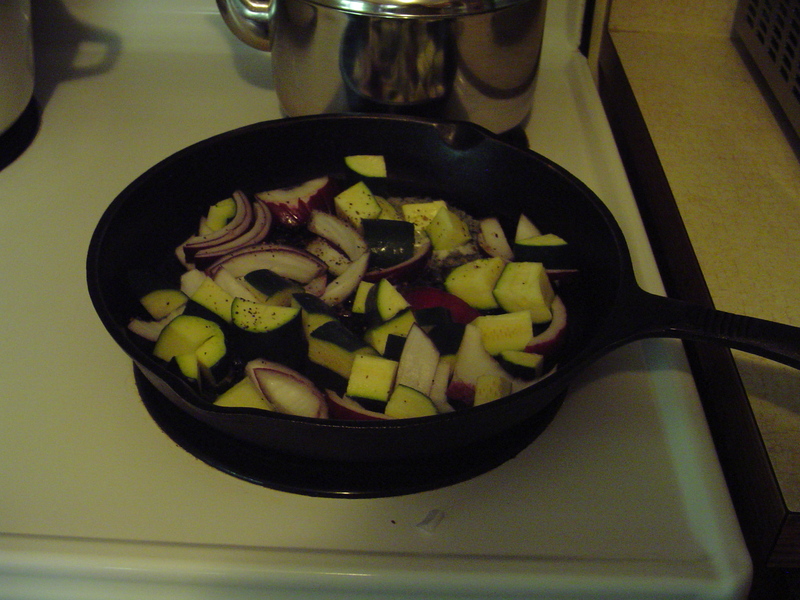 We also had the zucchini (from Birdsong) and purple onion sauteed in olive oil & a little butter. 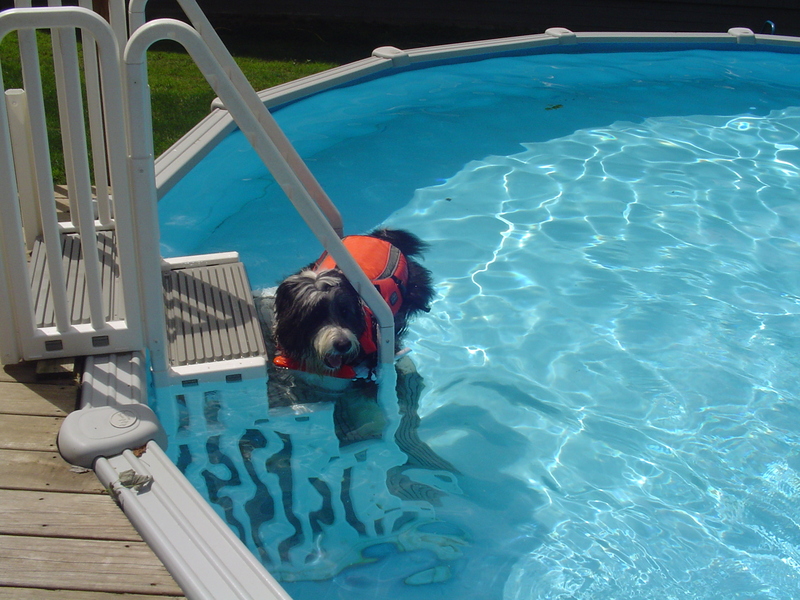 The kitchen is already cleaned up so Marilyn, our pup, and I still have time for one more swim. Bob is mowing away, maybe he’ll join us later! Stay cool everybody! This entry was posted in Dinner on July 23, 2011 by andrewsbeth. 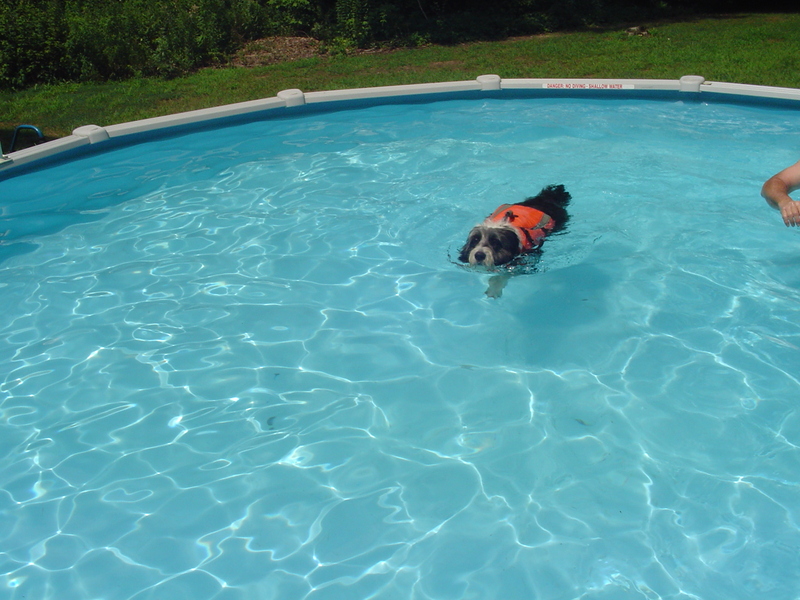 Marilyn looks so cool and relaxed in the pool…no better place to be in this heat! I love crock pot days. The whole house smells up with great smells. All my life, I’ve roasted chickens in my table-top roaster. It’s crazy that I never even stopped to think that a crock pot would work in basically the same way. In fact, it’s probably more air-tight and helps keep the chicken moist. Looks delicious. Yes, Bob said it was quite moist. I think I cooked it for about 5 hours. It was not a large bird. My crockpot is a little on the hot side. I added the potatoes after about two hours into it. Taking the skin off the chicken, helps it not be so greasy. We love a food party!